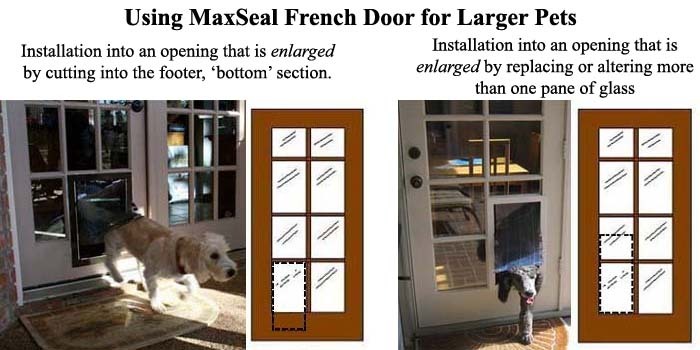 The MaxSeal for French Doors is a custom made pet door that is built to your specifications. Then most common method of installation a pet door into French Doors is to replace an existing, individual pane of glass found in 'true' French doors. Pet owners that may have larger pets may need a larger opening than what results by replacing only one pane of glass. You can have a larger pet door installed by replacing more than one pane of glass, cutting into the side frame of your door or into the footer so that a larger pet door can be installed. Note: When you cut into the side or footer of your door, you will not be able to reverse the process and reinstall the removed glass. TOTAL SQUARE INCHES (width x height). The calculator below can be helpful to provide you with the specifics of the custom door you select. Congratulations on your purchase of a MaxSeal® Door by Security Boss®. The following is a step by step guide for installing your MaxSeal® product. Step 1: Be sure that you have ordered the correct size door for your pet. For long term use it is best to size the pet door so that the top of the door is about 2 inches taller than your pet's shoulders. The resulting bottom of the opening should be a comfortable step over height. Step 2: Check the package you received to make sure that it contains all the necessary parts. 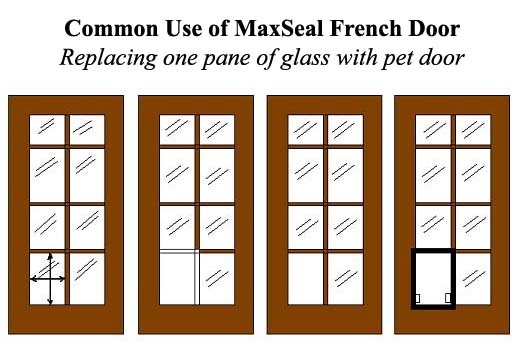 Step 3: Select the pane of glass in the French Door you plan to mount your MaxSeal® pet door. Step 4: Remove the molding around the selected pane of glass where you want to install the pet door. If you are removing more than one panel of glass, remove molding around this area. Step 5: Remove the pane of glass and re-attach the molding in same location as removed in Step 4. Step 6: Now you are ready to install the MaxSeal® French Door in the glass opening. 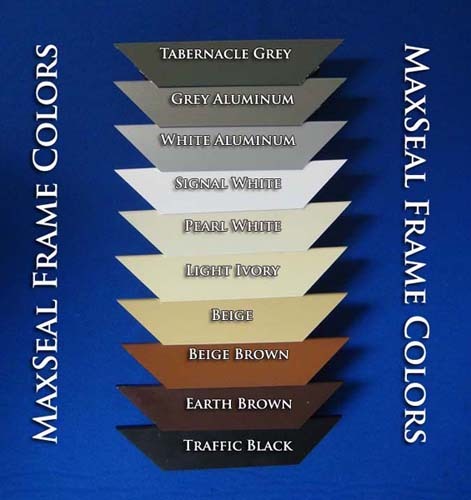 Separate the interior and exterior MaxSeal® door frames. Remove the Insulated Security Panel from the inside frame. Step 7: Put the inner frame (the one with the insulated security panel) into the glass opening in the French Door. Put the outside frame into MaxSeal® door and sleeve the pet door frame together until seated against French Door molding surface. Step 9: Once the pet door is installed you can fill any gaps or seal the edges with caulking if desired. 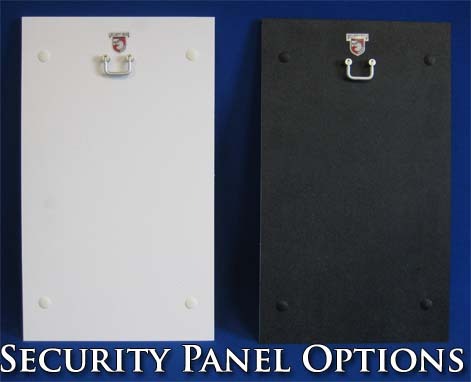 General Use Information: The Insulated Security Panel will slide into place and fasten with the dead bolt lock. When removing the Security Panel from the unit, apply a slight inward pull to the panel handle while lifting. Since the panel is tight fitting in the channel, this pulling pressure will ensure that the panel rivets do not catch on the frame of the unit. The dead bolt is retracted by pulling on the handle and turning the handle clockwise, or right, approximately a quarter of a turn. To lock the deadbolt, continue to turn the handle of the deadbolt another quarter turn and the lock will extend into the locked position under spring tension. DO NOT TURN THE HANDLE OF THE LOCK COUNTER CLOCK WISE OR LEFT, AS THE LOCK WILL LOOSEN AND NOT WORK. Replacement rivets have been included with your hardware kit should the ones on the MaxSeal® Insulated Security Panel work loose. Install by pressing the two pieces together from opposite sides of the panel in the pre-drilled holes. The thumbscrews that attach the flaps are factory tightened. Through use, the thumbscrews occasionally loosen and therefore should be checked regularly for tightness. Re-tighten the thumbscrews using the included Allen wrench. The magnets on all MaxSeal® doors are adjustable. This allows a precise seal no matter the weather or size of the flap throughout the years. The magnets are positioned in the frame with a pressure fit. The magnet is held by an aluminum carrier that can slide in and out of the painted frame rail. The best way to lift the magnet is by using pliers to lift the magnet out of the frame rail. BE SURE TO COVER THE MAGNET AND CARRIER WITH A TOWEL TO PREVENT SCRATCHING OF THE FRAME AND CARRIER. Only lift the magnet the minimum required to make the magnet touch the strike plate on the flap. If the magnet carrier becomes loose within the frame after adjustment, simply pry the two legs of the magnet apart and reinsert into the frame rail. The magnets are adjusted correctly when there is 0" of airspace between the magnet and the strike plate. Once the magnets are positioned properly, your replacement flaps is installed. Security Boss Manufacturing®, LLC., recommends that households with small children need to exercise proper judgment with leaving their children unattended in any area with a pet door. Pet doors come with locking panels and locking devices, using these devices minimizes any risk, but does not replace proper parental supervision. We recommend that any consumer that installs their own pet door wear eye protection and be familiar with the construction procedures and tools of installing a pet door. Virtually all doors use magnets for the activation of the pet door as well as in the sealing of the flaps. Customers with certain medical devices, for example Pace Maker patients, should consult their physician.